So not much happened today. Got up. Ate breakfast. Got dressed. Kissed Carla. Petted the cats. Poured a cup of coffee. Got into my car and drove to Covington. Spent the day watching the young man I’ve spent the last two weeks training show me he’s definitely been paying attention. Went to lunch. Came back. Did a bit more review. Then I did my exit interview. Said goodbye to a few people. Drove home. 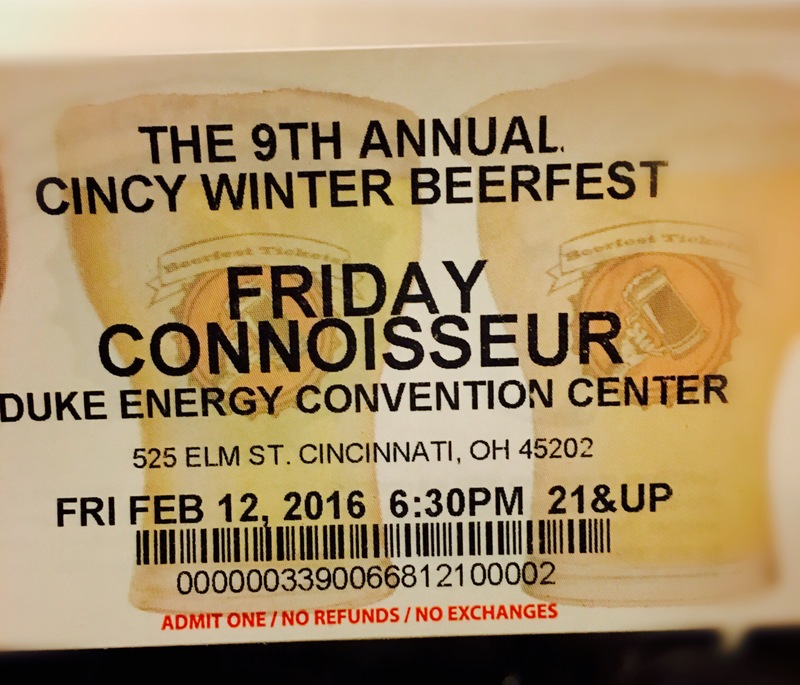 We’ve spent the evening at the Cincy Winter Beerfest. In the nine years it’s run we’ve only missed two. We always stay at the Hyatt across the street because it’s stupid to do anything else. A few people knew this was my last day at the job and some heard it in passing. Beerfest is CIncinnati Beer Prom. You see people. Looking at my ticket it was hard not to think that I have, indeed, become a connoisseur of Fridays. This is going into the books as a big one. Even though not that much really happened.